So your fume hood is ready to be replaced, or perhaps one should be added to accommodate your expanding staff. Whatever the case may be, you need a fume hood soon and are planning accordingly. But to get one, you need the resources approved to make a purchase and that needs to be submitted by the upcoming budget meeting. That budget meeting is a week away and you have the ideal fume hood in mind. 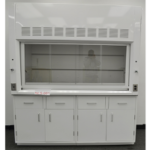 You know the size, dimensions, and features of the fume hood that your laboratory will need. But finding a definitive price has proved to be difficult to obtain. Similar to how a steering wheel is one component in a car, fume hoods are one piece of the much larger laboratory puzzle where all the pieces fit nicely together to create the complete laboratory package. And more times than not when a customer wants a fume hood, there are “extras” that are also purchased, like laboratory cabinets, storage areas, venting needs, special features, and upgrades. 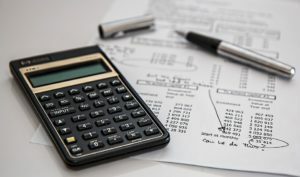 When all is said and done, many firms in the fume hood industry offer a lump sum price, and the customer has no idea what was paid for each individual item, instead, they only know the total cost. Because this is the case, many manufacturers and distributors sell laboratory furniture in addition to fume hoods and other laboratory supplies. And with the “lump sum” pricing approach, knowing the individual cost of a fume hood or casework remains a mystery even after installation. There are companies, however, within the industry that do provide pricing for fume hoods, but you may have to search for it. In an effort to obtain an accurate cost of a fume hood, the following efforts were made. 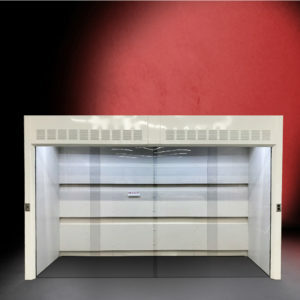 –34 fume hood manufacturers and/or distributors were contacted for pricing information on 4 ft, 6 ft, and 8 ft fume hoods. 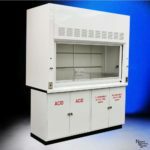 Fume hoods can be smaller and they can be larger, but the intent was to obtain pricing for common-sized fume hoods that are available and normally produced by multiple fume hood manufacturers. –Of the 34 companies, only three had pricing information readily available. Pricing information was found or provided by six other manufacturers which lead to these results. –Many manufacturers were resistant to sharing pricing information. Some politely deferred by saying, “We hold that information close to our chest.” Some abruptly ended the conversation when finding out the intent of the request. And others failed to respond. –Many factors are considered when pricing a fume hood. Special features and add-ons will drastically drive the price up or down. For instance, a fume hood that will experience explosions compared to one that is used for spill containment, pricing will differ. –There were some “Rules of Thumb” that were offered by industry professionals. The “Rules of Thumb” that are supposedly based more on experience than theory varied greatly. Further showing the difficulty of pinpointing a uniform pricing structure for fume hoods. A few industry professionals estimated that anywhere from $1,200 to $2,500 per square foot is the suggested “rule of thumb” to determine the final price of a fume hood. That means the cost of a 6 ft fume hood would likely be anywhere from $7,200 up to $15,000, according to industry standards. Which may not be too helpful if a more defined price is needed. After probing the email inboxes of fume hood sales teams, scouring the Internet for definitive data, and numerous phone conversations, here is what was found when it came to fume hood pricing. Of the pricing data that was obtained, there was a “low” price for each fume hood size (i.e. 4’, 6’, and 8’); and there was also a ”high” price for each size. The “low” prices were then averaged and the same was done with the “high” prices leading to the results below. With ranges, as shown above, it is very difficult to garner accurate pricing information without knowing the details of each fume hood. 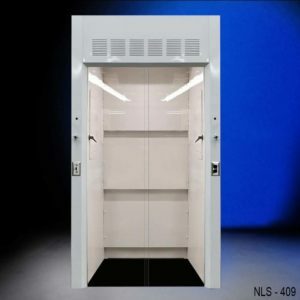 As one could imagine, the product descriptions of the lowest priced fume hoods in each size category were different from the highest priced fume hoods. Various add-ons, features, and specialized materials would separate the lowest priced fume hood from the highest, even though the fume hood itself had the same dimensions. This led to a large price range for what one would believe to be a similar product. But after digging into the details, the products were different. This is to be expected, in the same way, that luxury vehicle sedans are priced differently than standard sedans. A prime, real-time example of this is on our website. We have fume hoods from 4’ to 10’ in all sorts of price ranges. 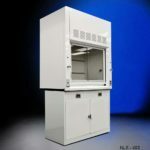 Check out our fume hood pricing here. If knowing the price of a fume hood is important for planning purposes, like for an upcoming budgeting meeting, do your homework on the exact type of fume you’ll need along with any accessories, add-ons, or special features. Take those details and you can get pricing information from many manufacturers and distributors–including those who publish their prices and those who don’t publish their prices. If you use the latter option, plan for a few extra minutes (maybe phone calls and emails too) to get the pricing information you want as compared to those who advertise fume hood prices without restriction. 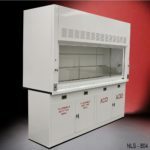 National Laboratory Sales is one company that publishes fume hood and laboratory furniture prices right on our website. Explore our site, check out our products, and if you have questions please give us a call at (815) 670-6400.